The former Brexit secretary has declared it is "a good day for Brexit" in the wake of last night's Commons vote. Dominic Raab appeared on the breakfast show to discuss the outcome of the vote, in which MPs approved Conservative MP Sir Graham Brady's Brexit amendment, which aims to replace the so-called backstop with "alternative arrangements". They also voted through a non-binding amendment tabled by Dame Caroline Spelman, which seeks to prevent a no-deal Brexit. Presenter Julia Hartley-Brewer asked Raab whether the outcome of the vote made Brexit "more or less likely". "Much more likely," Raab replied. "I think it's a good day for Brexit and a good day for the government." "The Prime Minister listened to the concerns of those that voted against her original deal in record numbers, and gave some clarity about what the changes are she's going to go and seek, and MPs then backed her to strengthen her hand to go and deliver those." 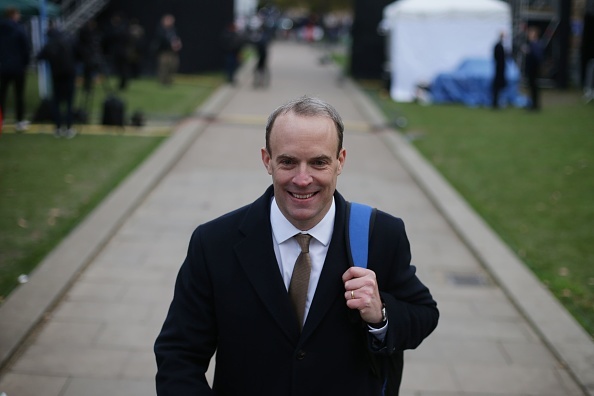 Raab, who quit his role as Brexit secretary because he disagreed with Ms May's original Withdrawal Agreement, added that MPs who had tried to "push Brexit off course" were "defeated". "You saw all the attempts at guerrilla warfare tactics by MPs to try and push Brexit off course defeated. All the ones that matter," he told Hartley-Brewer. "The idea that there would be new legislation, that was killed off."